What happened over the past 7 days? 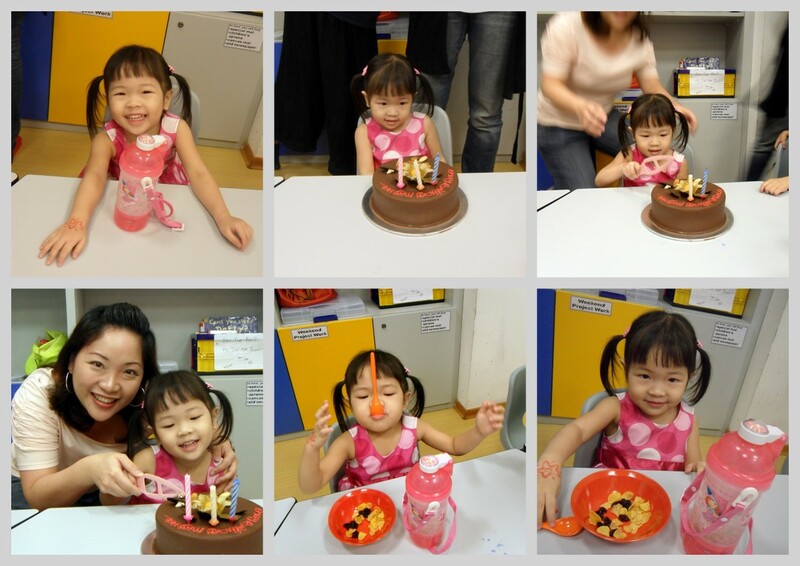 Last Thursday, we took time off to celebrate Mayenne’s birthday at her nursery school, Growing Up Gifted. This photo reminded me of The Last Supper. A group photo. Lovely teachers. Mayenne is enjoying the classes at GUG more than Shichida, which we plan to stop after this term. 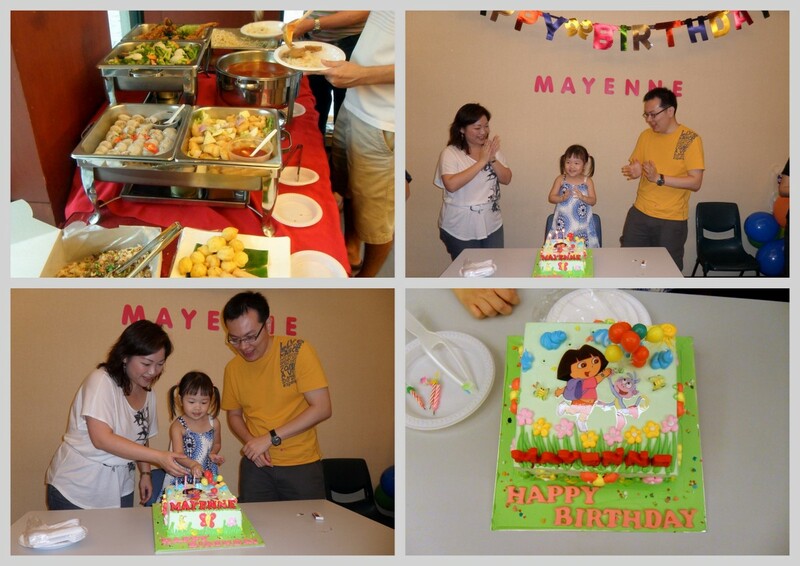 Then on Sunday, we celebrated Mayenne’s birthday at my condo function room with my family. Cake from Pine Garden, where else. There was almost not enough for all because it’s simply delicious. Yesterday, I invited my colleagues to my house for a small party. See how the kids’ eyes were glued on the TV showing “Princess and the Frog”. On both occasions, we catered food from Neo Garden Catering. Without fail, someone would comment how good the food was, especially the curry chicken. Neo Garden offers mini buffet with a minimum of only 10 pax. The food come in microwave-friendly plastic containers, utensils, carrier bags, and even a tong. More photos of Mayenne before I sign off. If you were wondering how I got her attention, it’s all thanks to Samsung ST550 dual-screen camera. 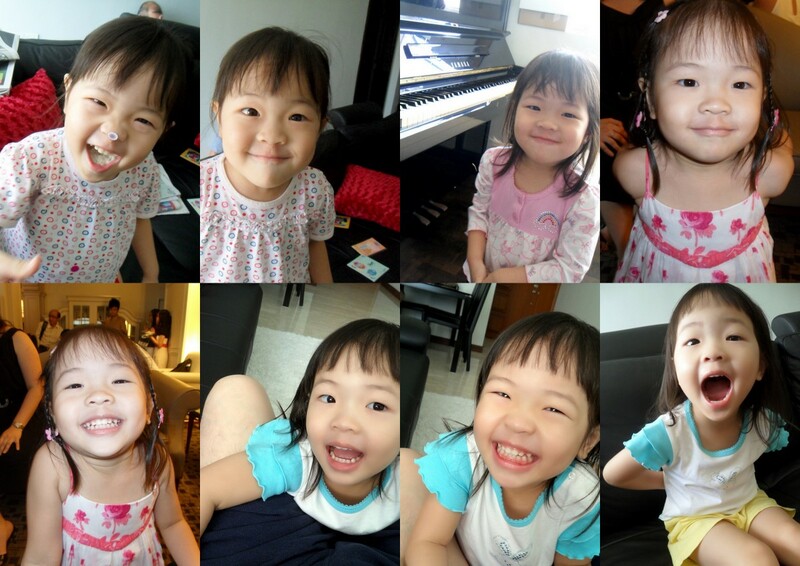 She can never stop posing and smiling when she saw herself in front of the camera. Have a great Year 4, darling. Here’s the photobook I did to document her 3rd year. Click the cover image below to start.